Our custom Textilene® 80% solar screens are factory made with Twitchell™ Textilene® 80 Solar Screen fabric. Twitchell™ is a world leader in solar screens. The Twitchell™ Textilene® 80% solar screen mesh blocks approximately 80% of the suns radiant heat before it reaches the window in an outdoor application. It can reduce your cooling portion of your electric bill up to 30%. Textilene® 80% Screen is typically used on the sides of the home that receives direct sunlight. We find that all color screen mesh works to shade from sunlight but the darker colors work best for outward visibility. If your goal is to reduce heat in your house, you must screen the entire window. The Textilene® 80% screen mesh’s uniform weave design offers excellent outward visibility and good ventilation. The mesh allows natural light to come into your home and allows great outward visibility with some daytime privacy. People still might be able to see silhouettes. It also provides enough light for your indoor house plants while providing enough UV protection to keep your drapes, blinds, furniture and flooring from fading. The fabric is also pet resistant. Textilene® 80% screen fabric is woven from extremely strong and durable vinyl-coated polyester yarns. The mesh was originally developed for outdoor furniture and is mildew and fade resistant and only needs an occasional cleaning with mild soap. Textilene® has UV inhibitors to keep it from fading or rotting upward to 25 years in the direct sunlight with a manufacturer warranty of 10 years. Textilene® 80 solar screen is available in a choice of six earth tone colors; black, brown, beige, dark bronze, grey and stucco. There are five frame color choices and a wide selection of attachment hardware to meet most any needs. 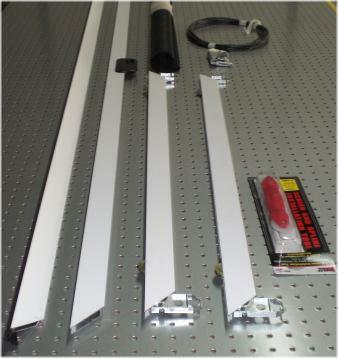 For solar screens we recommend the heavy duty 5/16 x 1” or 7/16 x 1” window screen frame. These window screen frames are sturdier than your average window frame. We also recommend cross bars for solar screens. 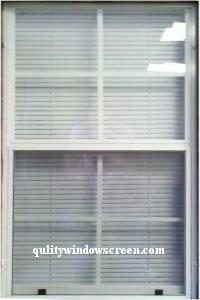 This is a great screen choice for those looking for durable window screen. Save Up To 30% OFF With Quantity Discounts as Listed Below. Order a Custom Textilene® 80% Solar Screen today! Width Inches Select 10 11 12 13 14 15 16 17 18 19 20 21 22 23 24 25 26 27 28 29 30 31 (+$0.50) 32 (+$1.00) 33 (+$1.50) 34 (+$2.00) 35 (+$2.50) 36 (+$3.00) 37 (+$3.50) 38 (+$4.00) 39 (+$4.50) 40 (+$5.00) 41 (+$5.50) 42 (+$6.00) 43 (+$6.50) 44 (+$7.00) 45 (+$7.50) 46 (+$8.00) 47 (+$8.50) 48 (+$9.00) 49 (+$9.50) 50 (+$10.00) 51 (+$10.50) 52 (+$11.00) 53 (+$11.50) 54 (+$12.00) 55 (+$12.50) 56 (+$13.00) 57 (+$13.50) 58 (+$14.00) 59 (+$14.50) 60 (+$15.00) Help? Height Inches Select 10 11 12 13 14 15 16 17 18 19 20 21 22 23 24 25 26 27 28 29 30 31 (+$0.50) 32 (+$1.00) 33 (+$1.50) 34 (+$2.00) 35 (+$2.50) 36 (+$3.00) 37 (+$3.50) 38 (+$4.00) 39 (+$4.50) 40 (+$5.00) 41 (+$5.50) 42 (+$6.00) 43 (+$6.50) 44 (+$7.00) 45 (+$7.50) 46 (+$8.00) 47 (+$8.50) 48 (+$9.00) 49 (+$9.50) 50 (+$10.00) 51 (+$10.50) 52 (+$11.00) 53 (+$11.50) 54 (+$12.00) 55 (+$12.50) 56 (+$13.00) 57 (+$13.50) 58 (+$14.00) 59 (+$14.50) 60 (+$15.00) 61 (+$15.50) 62 (+$16.00) 63 (+$16.50) 64 (+$17.00) 65 (+$17.50) 66 (+$18.00) 67 (+$18.50) 68 (+$19.00) 69 (+$19.50) 70 (+$20.00) 71 (+$20.50) 72 (+$21.00) 73 (+$21.50) 74 (+$22.00) 75 (+$22.50) 76 (+$23.00) 77 (+$23.50) 78 (+$24.00) 79 (+$24.50) 80 (+$25.00) 81 (+$25.50) 82 (+$26.00) 83 (+$26.50) 84 (+$27.00) 85 (+$27.50) 86 (+$28.00) 87 (+$28.50) 88 (+$29.00) 89 (+$29.50) 90 (+$30.00) 91 (+$30.50) 92 (+$31.00) 93 (+$31.50) 94 (+$32.00) 95 (+$32.50) 96 (+$33.00) Help? Frame Size 5/16 x 1 7/16 x 1 (+$10.00) Help? Screen Color Black/Brown Black Brown Grey Desert Sand Beige White Show Colors? Ordered seven screen of various sizes. Worth every penny. Advantages: Quality material and shipping. Ordered on Sunday and received on Wednesday. Thanks Amanda for your top notch customer service. Disadvantages: I forgot to designate which length (width or height) to place the clips and tabs on. Therefore, I had to cut the tabs off and relocate the clips. I ordered 16 screens of various sizes. All of the screens were packed a single, heavy custom crate constructed of 1/2 inch sheathing, 2x4s, and screws, with individual screens painstakingly wrapped and protected by movers' plastic wrap and cardboard. All of the screens measured to the exact dimensions in the order form and all fit the windows as expected. I found the 5/16" x1" screen stock to be sufficiently stout to fit tightly against the window frames, using only 4 support clips for most of the installs. I was very satisfied with the ordering process, including the color choices and instructions that help with measurements and installation. When ordering, the $200 freight cost (21% of overall cost) created a bit of sticker-shock, but having dealt with other companies' damaged products, returns, and repairs in the past, receiving all of the screens in pristine condition justified the cost. In that regard, we have no experience with Customer Support, because we had no issues to resolve with either the ordering or delivery processes. Half of the screens are installed facing brutal afternoon sun, and the difference near those windows was immediately noticeable. Overall, we're very satisfied with our screens, and I would recommend Quality Screen as a conscientious supplier of quality products. Well made screens that fit perfectly. Very quick turn-around time. Measuring instructions very well done and easy to follow. Advantages: Cut down glare and heat on the 5 west facing windows I installed them on. Disadvantages: If I had it to do over again, I would go with the 90% in lieu of the 80%. Perfect fit with great heat reduction and minimal loss of light, Worth every penny. It's to early to tell if the are going to keep the rooms any cooler but I really don't see how they will not. Before I installed them I placed one above my head in the hot sun and it felt as if I gone under a tent. I bought two and immediately bought three more for the front of my house because I like the way they look. Advantages: Look great, well made. Fit perfect. I really like the security they provide. You can't see in the house. I would order more but I'm out of windows!!!! Disadvantages: Freight for the long ones (70 inches ) was a little high and Fed bent the crossbar on all three. I bent it back(you cant see the crossbar when they are installed) I figured Fed would damage the next ones so I didn't report the damage. Very pleased. I live in hot Central Florida and one side of my house gets pounded by the sun and is 4 - 5 degrees hotter than the rest of the house. These solar screens reduced the temperature by 3 - 4 degrees and allows you to comfortably be in that part of the house. I ordered the clips but reducing the width by 1/2 inch each side made the clips ineffective . Next time I will reduce the width by 1/4 or 1/8 inch. I ended up attaching the screens with industrial strength Velcro. Turns out this works great and the look is a lot cleaner than the clips. Advantages: Cuts the glare and the heat. Screens look great and well made. Screens delivered within 4 days. Disadvantages: Shipping is expensive . $130 to ship 3 screens is a bit much. I was hesitant about the shipping fees but once they arrived it was justified. The screens were encased in a wooden frame and enclosed in heavy cardboard securely taped. They were perfect. Just popped 'em in and walla, they fit and looked great. The Textilene 80% is quite nice and the frame and material match our stucco and windows. They were a bit of an investment but I am hopeful they will hold up for some time and I didn't have to make them myself or worry about screwing it up. Advantages: Greatly reduces glare and I would expect it should reduce heat from the southern exposure this summer. Customer Service was on point! The lady that helped me was excellent! She found the product i needed at a price that was affordable. Ordered Sept. 16, 2017, received screens Sept. 22, 2017. Bullet-proof packing, and they fit perfectly! Wouldn't even consider any other supplier. Advantages: Outward view excellent, and privacy when viewed from outside. Really added to the appearance of the house. Website easy to use. INSIDE APPLICATION: Lake of the Ozarks, MO. I ordered these screens for 8 transom windows above large picture windows and 3 arched windows above a door. The western exposure was killing my client. To put shades on the windows would have been $3,600 not including the arched windows above the door. Solar screens came and fit like a glove! Just set them up in the windows with a little invisible Velcro to hold them in and VOILA! Problem solved! White frames and white fabric matched the ivory Hunter Douglas Silhouette shades below perfectly. You can still see through the shades and comfortably sit in the living room without the blinding sun in your eyes. ALL 11 SHADES UNDER $500!!! Happy Client=Happy Designer!! Advantages: Cost effective sun solution! Blends well with other window treatments in the room Can be removed in winter when you want the sun to warm the room. Stellar customer service. Quick ship. Thank you Amanda in Dallas was outstanding! Disadvantages: Absolutely NONE! Wish I would have come across their website years ago! Finally cool enough to use it this morning. Works great! Installed doggie door in it. Dog is happy :) Such relief to finally have an operating screen door.